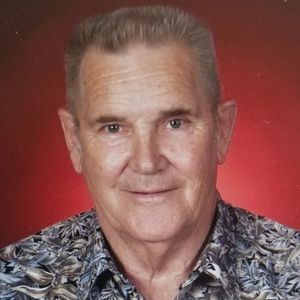 Gene H. Smith, age 85, of Rock Falls, died Friday, April 5, 2019 at his home. Gene was born August 10, 1933 in Rock Falls the son of Harry and Mildred (Palmer) Smith. He married Royola Judd on June 1, 1956 in Rock Falls. Gene was employed at Northwestern Steel and Wire in Sterling for 36 years retiring in 1990. He was a member of the First Christian Church in Rock Falls, was a motorcycle enthusiast and enjoyed working on automobiles. He was also a member of the Masonic Lodge (Grand Master 2013, Lodge #936). Survivors include his wife, Royola Smith of Rock Falls; two sons, Daniel Smith of Waukesha, Wis. and Donald (Kay) Smith of Garland, Texas; one sister, Lunda Bramm of Sterling; seven grandchildren, Megan, Rebecca, Matthew, Jay, Rachel, Scott and Samuel; five great grandchildren, Addy, Jamison, Isaac, Slade and Bonnie; and added family members, John (Fesa) Shaw and Don (Dee) Noble. A gathering of family and friends will be Tuesday, April 9, 2019 from 2:00 – 3:00 PM at the First Christian Church in Rock Falls. A memorial service will be Tuesday at 3:00 PM at the church with Pastor Jeanette Larson officiating, with a light dinner after. In lieu of flowers, memorials have been established to the First Christian Church in Rock Falls and Shriners Hospital for Children. We love living next door to both of you and Gene will be sadly missed. So many wonderful memories that make us smile when we think of him. He was a great one and we feel so blessed that God put us in the place where are paths would cross. So sorry for the families loss of Gene. I grew up living next door and even babysat for Dan and Don when they were little. Gene was such a lively character. He always had a smile to give. His presence will be missed. Our thoughts and prayers are with Roy and the boys. My deepest and heartfelt condolences to Royola. Gene was one of my favorite people. I have many fond and happy memories of Gene. I am sad today. My condolences to you and your loved ones, Don. I was so sad to see That Don had passed. Thinking of his kindness and his hugs every time i saw him makes me smile. Sorry i wont be there in person to give you all a hug. Know i will be thinking of all of you. Love sue Knowles. I'm so sorry for your loss, Royola. Gene was a very sweet guy! I loved seeing him when I visited the Christian Church.